I couldn’t point out enough just how great a song this is. You out there should agree; one of the reasons being that the music is incredibly easy on the ears. I love Matt Costa and I love his song, ‘Cold December’ with all my heart and soul. Silvery-sound guitar hooks and smooth charming vocals in the tune all adds up in making this the perfect tune for guess what – a cold December. There is not an inch of the song or anything that is related to it that I don’t or won’t adore; it’s nothing but four minutes of pure bliss. 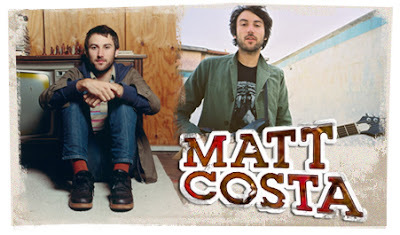 Matt Costa is a former skateboarder pro turned singer-songwriter signed to surfer Jack Johnson's label, BrushFire Records. So if you’re bashing your head, trying to figure out where you’ve heard that slightly familiar name of Matt Costa, it’s because he’s done a fair amount of collaborations with Jack Johnson himself. 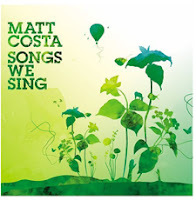 The ever so wonderful track, ‘Cold December’ is available on Costa’s debut titled, Songs We Sing that was first released in 2005 and then re-released on BrushFire Records in 2006. Fans of Jack Johnson’s rich mellow melodies wouldn’t want to miss this.